Bill Zeromski, our TruckVault Cares Facebook contest winner, relived 25-year-old memories of pheasant hunting with his father at South Dakota’s Warne Ranch today. 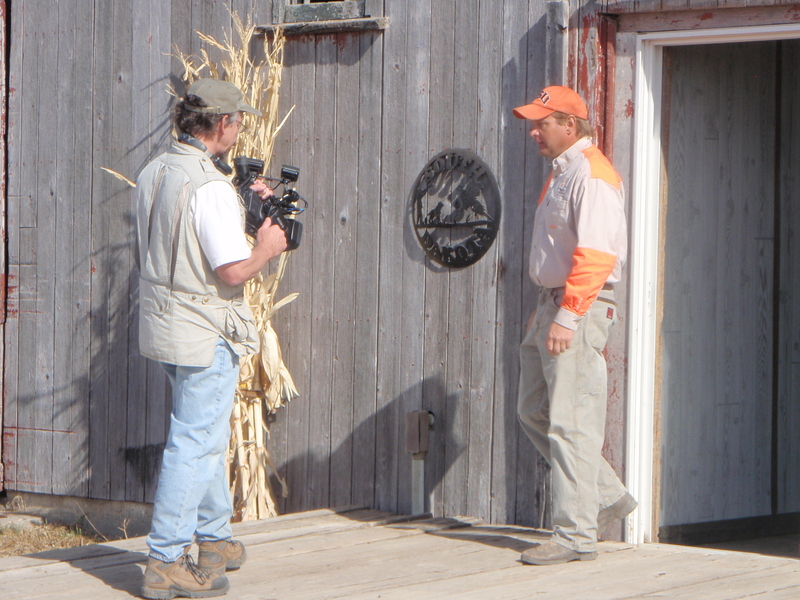 My crack production crew of Tad Newberry and Lynn Berland captured every moment, from loading up to his first pheasant and you’ll see it next season on the show. Cody Warne’s Labs (three sisters) performed admirably, and after an epic first few minutes with clouds of ringnecks, we settled into a rhythm that flushed hundreds of birds. After a few practice shots to warn the birds, Bill knocked on down, dedicating his success to his father’s memory. 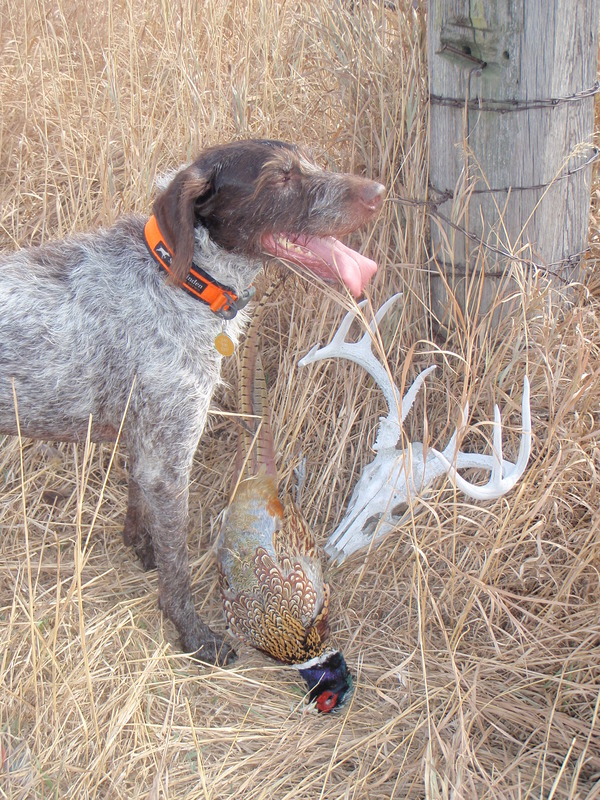 After lunch, Buddy shone, producing a shootable rooster after a long stalk in CRP grasses. Heat topping 80 degrees put him back in his crate soon after, yielding to his grand-nephew Manny. The little guy was as hot as the air temperature, covering a lot of ground from grass to milo, to cut corn and cattails. A few strong points put hens up, and eventually a rooster that was delivered to hand. Bill’s shooting got more refined as the day went on, putting another bird in his game bag and memories in his mental photo album. Here are some of them. If you like them, please “Like” our Facebook page too. 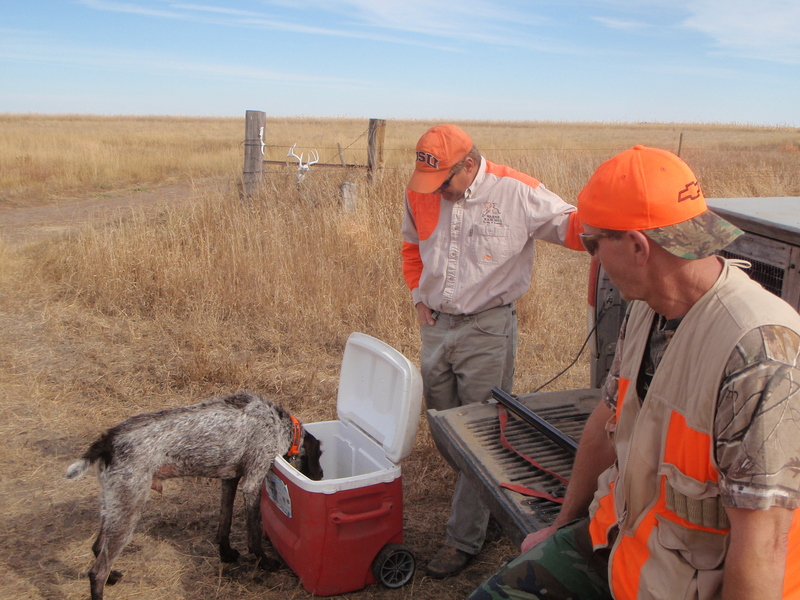 Cody and Bill offer Buddy a drink after a hot hunt. He ended up in the cooler. Lynn and Cody shooting an introductory segment for the show. The contest’s namesake TruckVault doing yeoman’s duty. 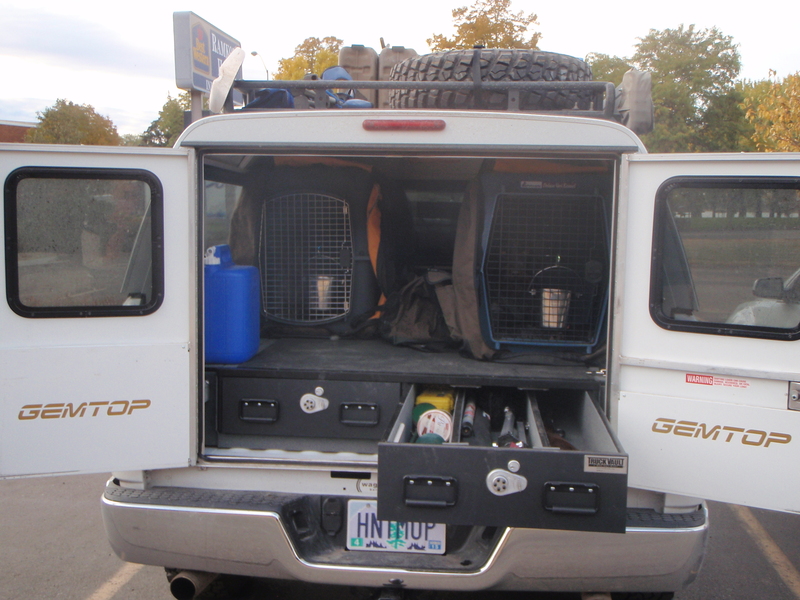 Great work Scott, thanks for handling things there for TruckVault as well! !